Just like last month's The Wolves of Willoughby Chase, I used to watch the film all the time when I was younger but wasn't aware that it was based on a book until I got older. I discovered the beautiful Puffin in Bloom edition late last year and bought it for myself as a Christmas present. Ever since discovering that one of my favourite films was based on a book I've wanted to read it. I used to love the story of the film when I was younger, I loved that the main character was called Sara just like me and that she was a princess. I had an imagination just as strong as she did and was adamant that I was a princess too. It's a wonderful story of wealth, class, kindness, friendship and growing up in Victorian England and those themes make it just as relevant today as when it was published. It is a novel which values innocence as much as experience and kindness as much as means. A Little Princess is an original and beautiful riches to rags story with important ideas to impart. I completely fell in love with it before the first chapter had ended, it didn't hurt that this beautiful edition contains lovely illustrations which enrich the narrative and round out the reading experience. I was fully engrossed in the story throughout and thought that the characters were well-drawn and fairly realistic. A Little Princess is entertaining as well as moving and I defy you not to become attached to Sara and her story. I also thought it was such an interesting insight into Victorian society in terms of how different stratum of society lived and interacted with each other. It definitely will. I think that the work that publishing houses (particularly Penguin Random House) are doing to reintroduce classics to a modern generation of readers is so important. By introducing new campaigns, such as Penguin Little Black Classics, and new covetable editions like the Puffin in Bloom series; publishers are helping to boost the readership of these classics and ensuring that they continue on as just that: classics. As mentioned earlier in this review I think that A Little Princess remains a relevant story despite it's occasional historical tropes such as slight classism and perhaps a little racism. It is after all a product of it's time, but despite this it's themes, particularly those of friendship and happiness, remain pertinent and universally relatable. I would recommend this to anyone who loves children's literature, anyone who wishes to be kinder and anyone who has ever imagined that they had a roaring fireplace and a thick, soft duvet on a cold winter's night. 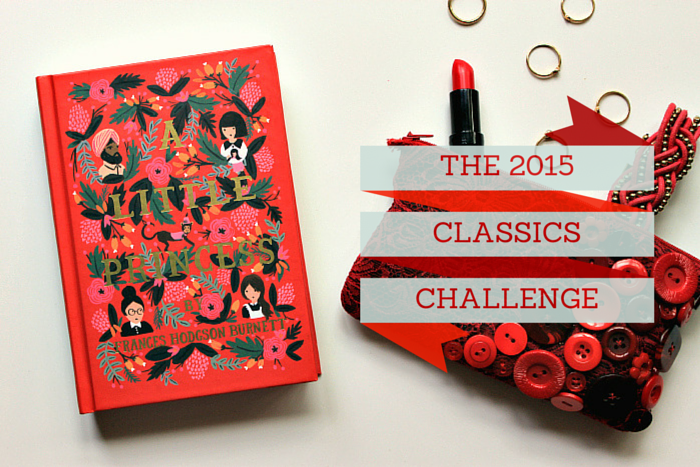 The 2015 Classics Challenge is hosted by Stacey of Pretty Books and you can find out more about it here. 10 things that have made me happy this week!